High swarf removal woodsaw ideal for laminate, Formica, sills, insulation board and high detail work. 14 TPI. 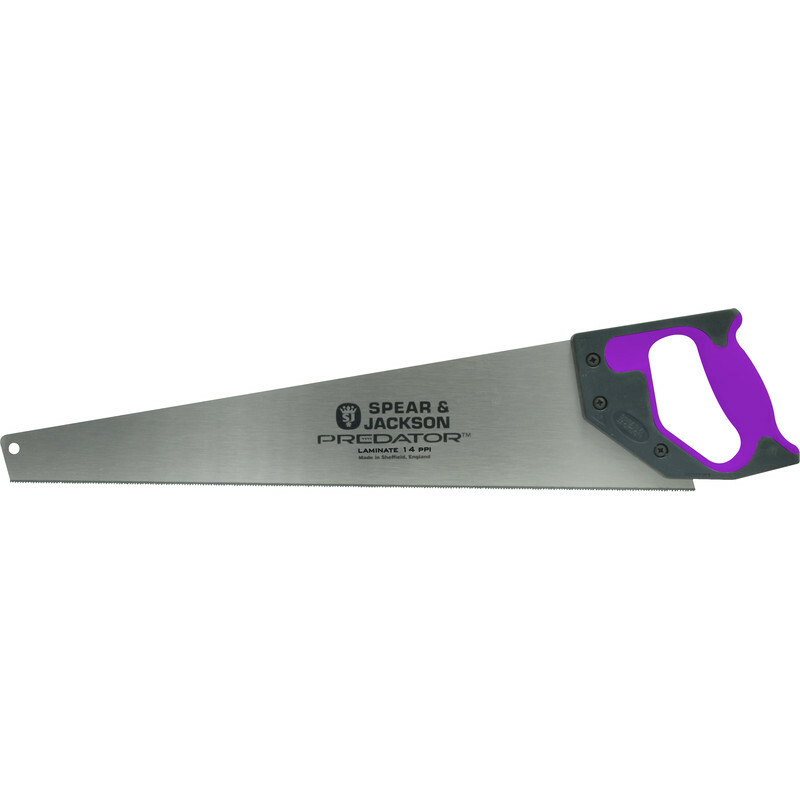 Predator Laminate Saw 500mm (20") is rated 4.6 out of 5 by 26. Rated 5 out of 5 by Country lad from Good saw for laminate flooring. I bought this saw for cutting laminate flooring. It does a good job. Rated 2 out of 5 by fletch101 from Not the best Brought this especially for laminate flooring, the saw teeth didn't even last the weekend, buy the time I had got to the last 3 planks I may as well of used a butter knife to cut the wood. Rated 5 out of 5 by Hontreas from Great saw with high teeth count Used to cut a new kitchen work surface as limited space to use circular saw. Went through easily with nice sharp edge to cut thus easy to glue edging in place. Rated 5 out of 5 by iancan from Super saw I have used one of these before and found it to be very good quality. I needed to make several cuts in a worktop and this did a good job with zero chipping.